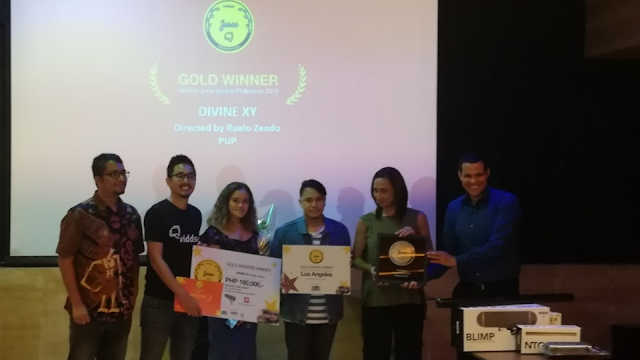 Ruelo Zendo's 'Divine XY' received the Gold award in Viddsee Juree Philippines 2018. Zendo, surprised on his win, shared the award to the other filmmakers who passed their entries. "I'm sharing this award to the other filmmakers who joined," he noted. Zendo's prize includes a production grant by Viddsee Studios, a 5-trip film immersion trip to Hollywood, and audio accessories from RØDE. Meanwhile, Christian Rae Villanueva's 'The Lessons of the Night' got the Silver award. 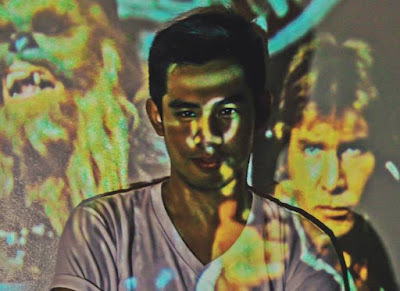 'Tears of the Stars' by Kenneth de la Cruz got the Audience Choice Award. Viddsee Juree Philippines is an annual competition hosted by streaming site Viddsee, which showcases short film created by young filmmakers. The jury panel this year comprises of actress Cherie Gil Eigenmann, Malaysian writer Amir Muhammad, and Tribeca Film Festival programmer Ben Thompson.